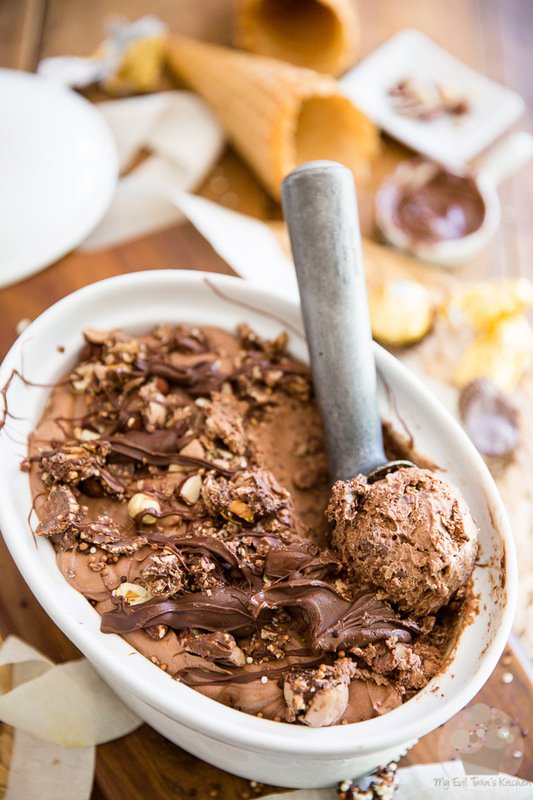 This No Churn Dulce Ferrero Rocher Nutella Ice Cream is wickedly rich and creamy, and loaded with pieces of nuts, chocolate and swirls of frozen Nutella. Whenever I go to the ice cream parlor for a frozen treat, I almost always opt for soft serve. The reasoning behind that is quite simple: hard ice cream I can easily get in a myriad of different flavors at the grocery store and then bring it home to enjoy for a fraction of the price. But recently, my local parlor started offering this brand new flavor of the hard stuff that I couldn’t resist trying: Nutella Ice Cream. It was love at first sight, or bite, or lick, or whatever you wanna call it. As soon as I tasted the frozen delight, I knew I was in trouble. It was the most delicious ice cream I’d eaten in my entire life. I’d have to repeat the experience at least a few more times over the course of the summer! But when I went back for more a few weeks later, they were already out… WHAT? I couldn’t have that! There was only one thing left for me to do and that was to make my own at home, and then make it even more decadent, at that! 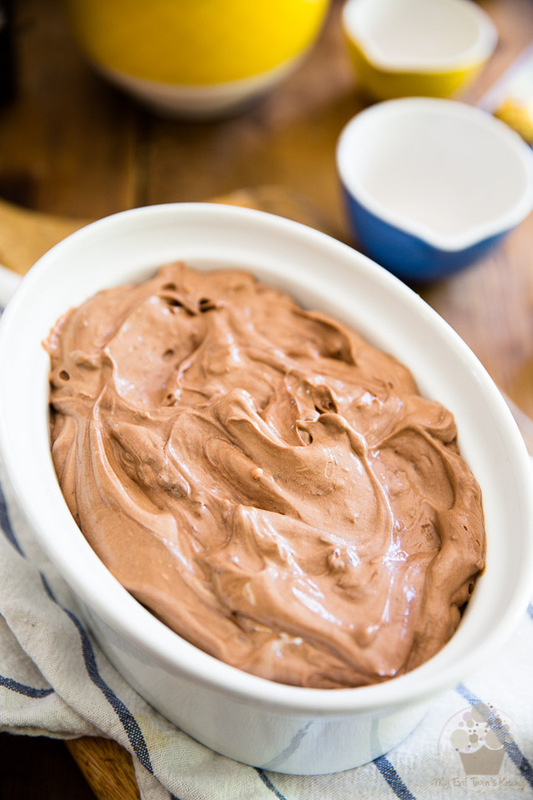 After all, I’d been crazy satisfied with my No Churn Dulce de Leche Ice Cream, so I thought I would sort of replicate that, using Nutella instead. 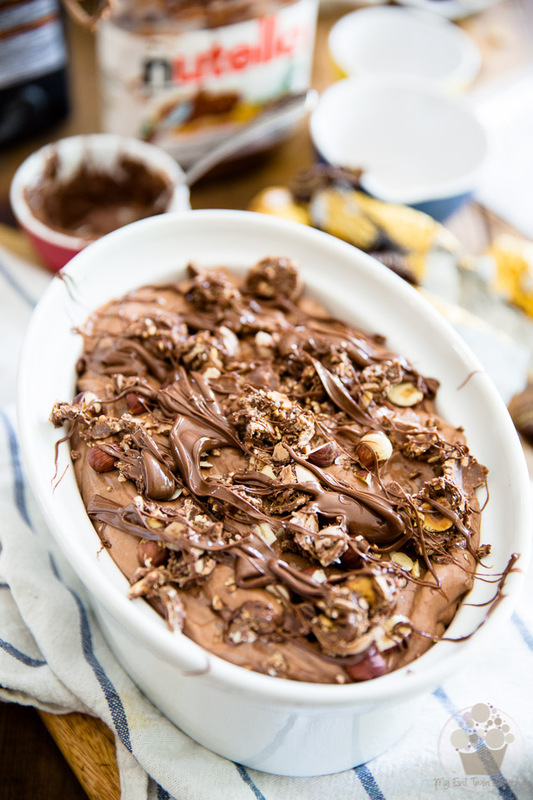 And since Nutella and Ferrero Rochers are just meant to walk hand-in-hand, I decided to also turn this delicacy into a bit of a frozen version of my Ferrero Rocher Nutella Cheesecake. I can’t even begin to tell you how amazingly delicious this ice cream turned out. 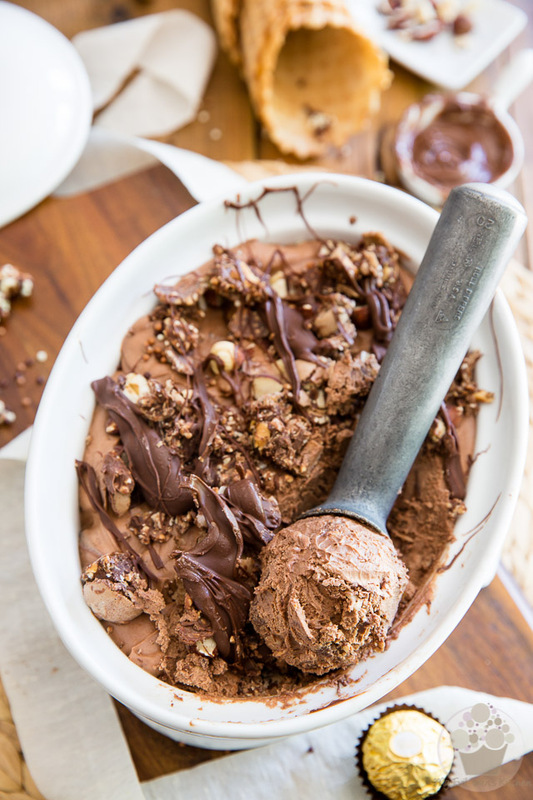 I’m not going to lie to you, it will cost you an arm and a half a leg to make your own batch of this No Churn Ferrero Rocher Nutella Ice Cream, but all things considered, it won’t cost you more than what you would pay if you were to get it at the ice cream parlor. Plus, it’s at least 3 thousand billion times better. Worth every single penny, I swear… Oh, and every calorie, too. Cuz yeah, that ice cream will cost you quite a lot in that department too, I’m afraid. 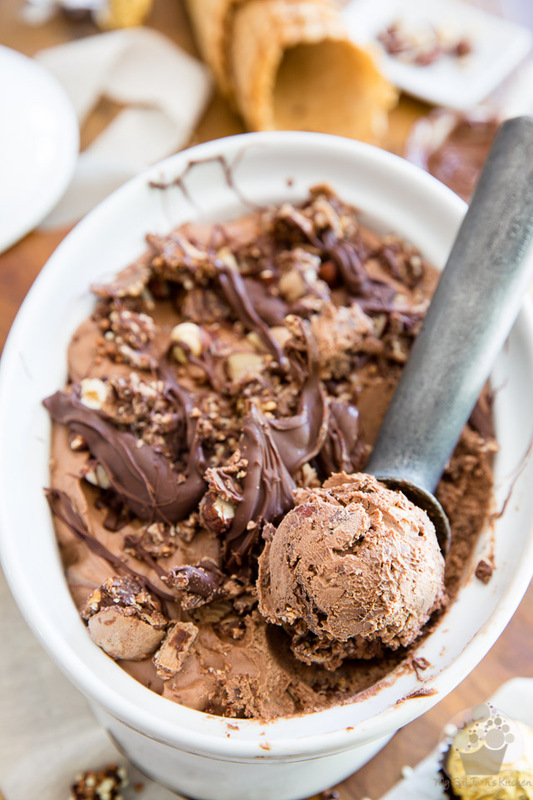 But for a scoop of ice cream that’s so decadent and so wickedly rich and creamy, and so crazy loaded with so many delicious pieces of hazelnuts, chopped up Ferrero Rochers and swirls of frozen Nutella? I say it’s totally worth the sacrifice! And on the plus side? It’s crazy easy to make. Mind you… I’m not so sure that this would be a plus side… it’ll only have you want to make it more often! Oops! Oh well. Sorry, not sorry! 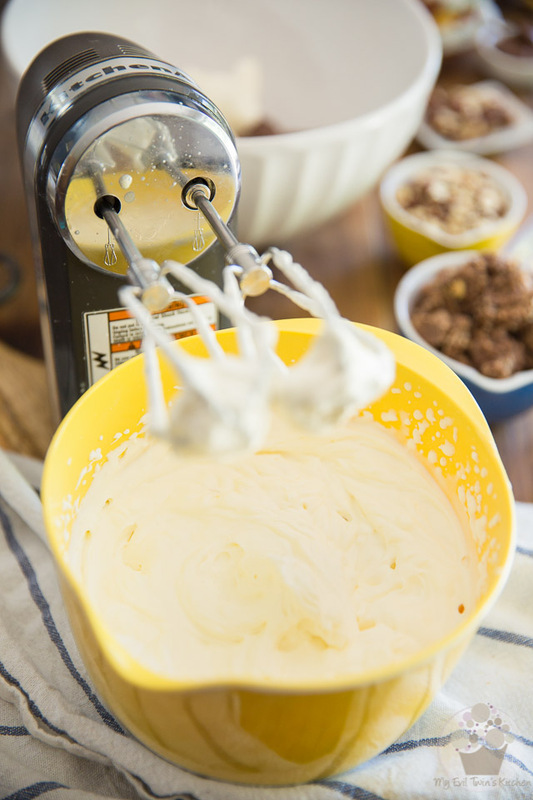 In a separate bowl, combine the Nutella, cream cheese, vanilla extract and salt and beat with that same electric mixer on medium-high until well combined. … and resume mixing on medium speed until almost completely incorporated. 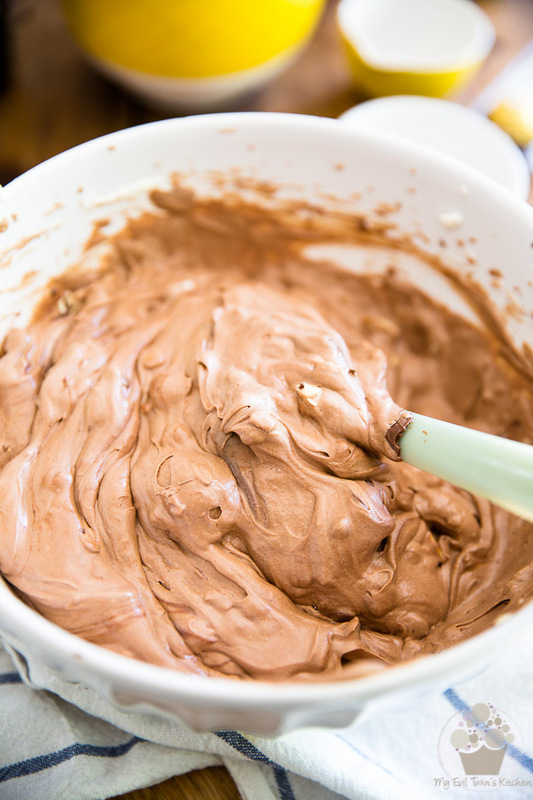 Scrape the sides well with with a rubber spatula, fold the mixture once or twice but do not over-mix. 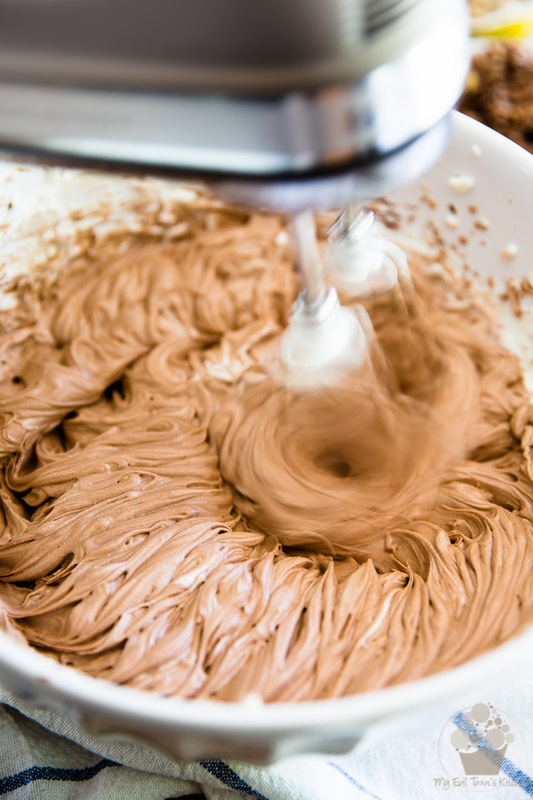 It’s okay and even desirable to still have visible streaks in the mixture. 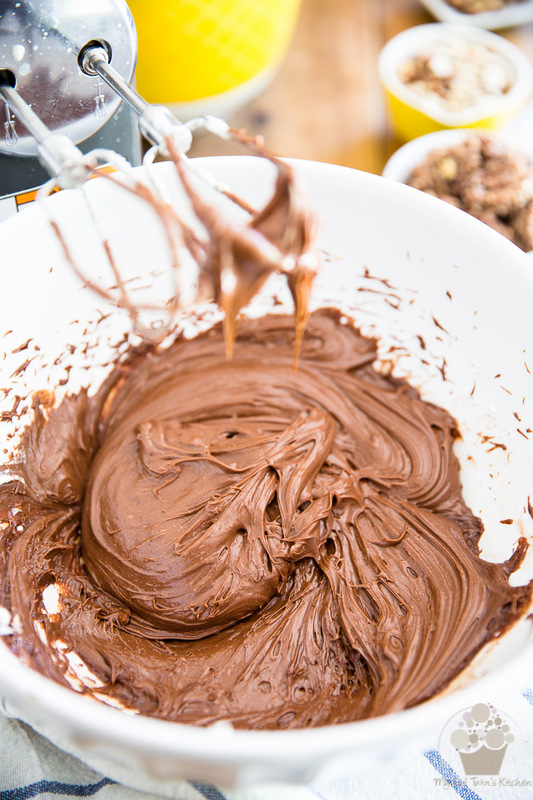 Add the coarsely chopped Ferrero Rochers, finely chopped toasted hazelnuts and then drop the Nutella in by the tablespoonful. Very gently fold those into the ice cream mixture with a rubber spatula. Again, do not over-mix. 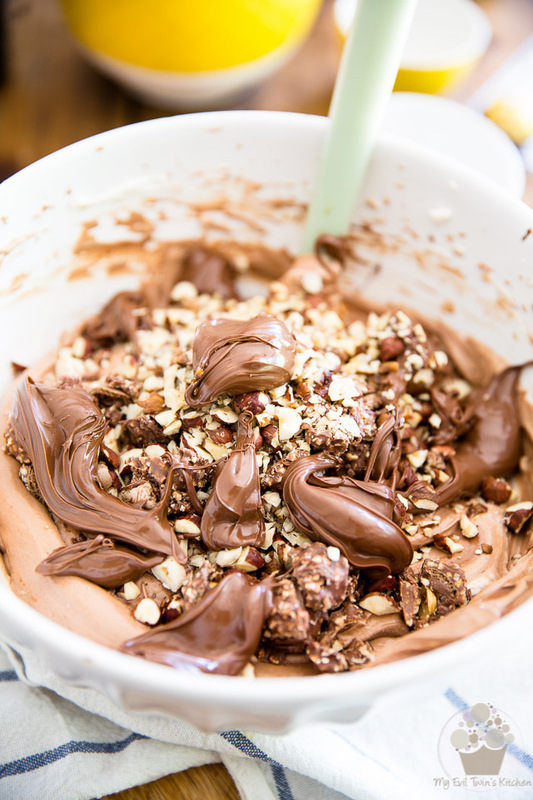 You WANT there to remain “chunks” of Nutella in the mixture. If you’ve never tasted frozen Nutella before, just wait. Trust me. You’ll understand exactly why I said that! Transfer the mixture to a 9″ x 5″ loaf pan or similar freezer-safe container; spread evenly all the way to the edge. 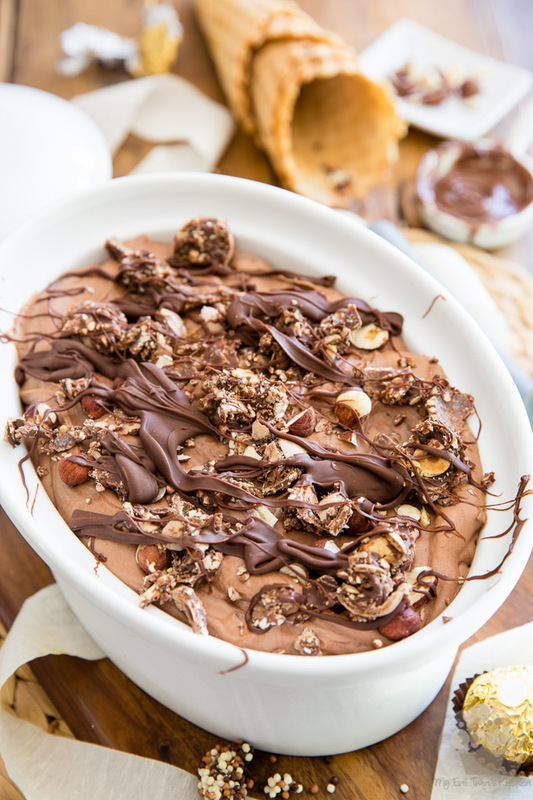 Sprinkle 4 coarsely chopped Ferrero Rochers as well as 2 tablespoons of finely chopped toasted hazelnut across the top, then drizzle with a few tablespoons of Nutella. To make your Nutella more “drizzeable”, don’t hesitate to warm it up in the microwave for a few seconds. Cover and place your ice cream in the freezer for at least 6 hours, or preferably overnight, to set completely. 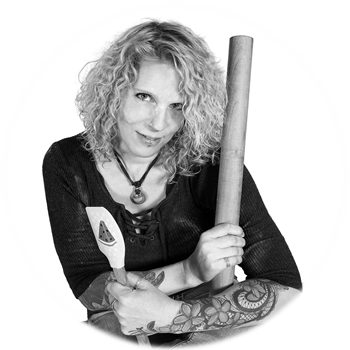 And if your freezer is particularly cold, or if you find that your ice cream is a tad too firm to scoop well, don’t be afraid to let it sit on the counter for 5 to 10 minutes so it has a chance to soften up a bit. 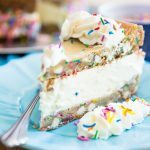 Unlike regular ice cream, this one won’t ever melt down to a watery mess, and its texture won’t be affected in the least when it goes back to the freezer after. 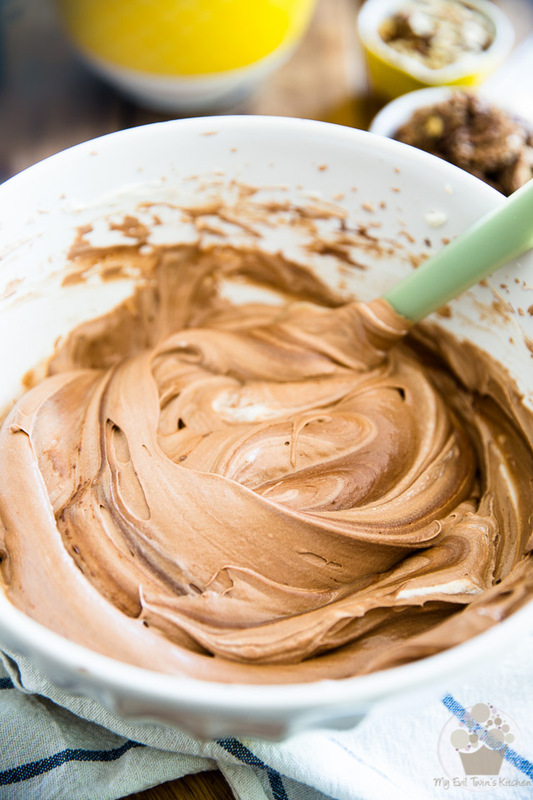 In a separate bowl, combine he Nutella, cream cheese, vanilla extract and salt and beat with that same electric mixer on medium-high until well combined. 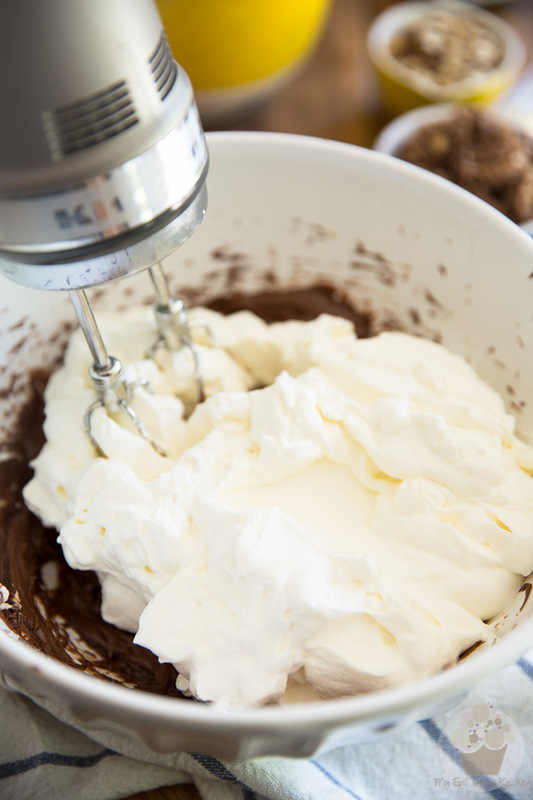 Add whipped cream and resume mixing on medium speed until almost completely incorporated and then scrape the sides well with with a rubber spatula, fold the mixture once or twice but do not over-mix. 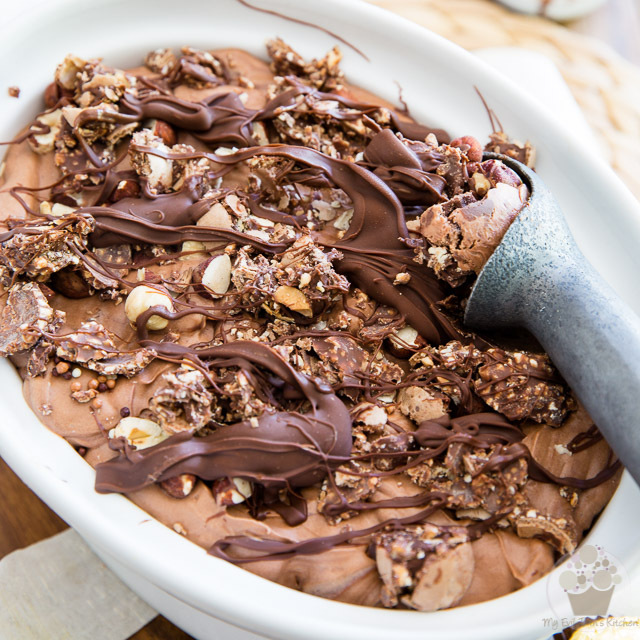 It's okay to still have visible streaks in the batter. .
Add the coarsely chopped Ferrero Rochers, finely chopped toasted hazelnuts and drop the Nutella by the tablespoonful. Very gently fold those into the ice cream mixture with a rubber spatula. Again, do not over-mix. 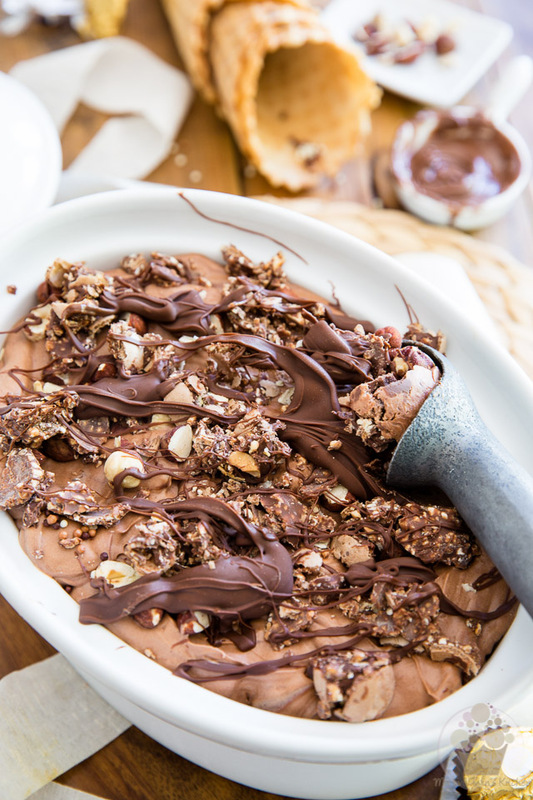 Transfer the mixture to a 9" x 5" loaf pan or similar freezer-safe container; spread evenly all the way to the edge and then sprinkle 4 coarsely chopped Ferrero Rochers as well as 2 tablespoons of finely chopped toasted hazelnut across the top, then drizzle with a few tablespoons of Nutella. You don’t like ice cream?????? OMG! I envy you! I have like an obsession with the thing, unfortunately. If that one doesn’t convert you, nothing will! thanks for sharing, love this! Who cares about the expense if it is really good! I love ice cream, and make it from early spring to late fall! 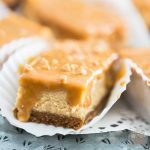 I love how you made these look and sound so delicious and easy! Love all the colors in your photos, too! 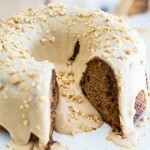 Hi, this recipe sounds very good, thanks for sharing! I want to use this ice cream as a base for a round Ferrero Rocher Ice Cream Cake. 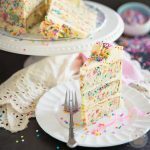 What height was the tin you have used / how many litres is this recipe), so I can calculate what size springform pan I will use.